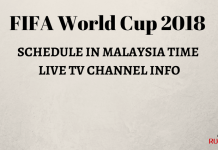 Fifa World Cup 2018 Russia: Schedule (Fixtures), Qualified Teams, Venues, Starting Date: 21st edition of world’s most watched sports event, FIFA World Cup 2018, takes place in the summer of 2018 in Russia. The tournament will be played from 14th June 2018 to 15th July 2018 and 32 teams from across the world will compete in the big tournament. The qualifying rounds began in September 2016 and will be concluded October 2017. The draw for the FIFA World Cup group stage will take place in November 2017. This tournament is a quadrennial international football tournament contested by men’s national team. The FIFA World Cup 2018 is still days away but the buzz of FIFA WC 2018 has already begun due to FIFA World Cup Qualifiers & FIFA Confederations Cup. Slowly and gradually, teams are making their name official for the FIFA World Cup 2018. This is the highest trophy in the game of football contested in every four years. So it means a lot to the players as well as the fans cheering their national team. FIFA unveiled the official schedule and dates for the 21st edition of Football world cup in Russia. 32 national football teams are set to take on each other in the 21st edition of FIFA world cup to become world champion. Russia to host 2018 FIFA world cup aka football world cup from 14 June to 15 July across 12 venues. Germany will be title defending champion in Russia world cup if they qualify. The first match of the World Cup will involve hosts Russia and kick off on Thursday, June 14, 2018 at 18:00 local time (16:00 BST). It will be against the team drawn into the ‘A2’ slot in Group A and take place at the Luzhniki Stadium, which will also be the venue for the final. That will be the only game on the opening day, but after that there will be three or four games played per day for the duration of the group stage. The tournament ends on Sunday, July 15, with the final kicking off at 18:00 in Moscow (16:00 BST). The third-place play-off is a day earlier, and the two semi-finals will take place on July 10 and 11. All of the final four matches of the World Cup will be played at either the Luzhniki Stadium in Moscow or the Krestovsky Stadium in Saint Petersburg. Where is the World Cup Beign Hosted? The World Cup is being hosted in Russia. The tournament will be played in 12 stadiums across 11 cities, all of which are in or just outside European Russia to reduce travel times. Ten of the 12 stadiums are either brand new or have been built within the past five years. The only exceptions are the Luzhniki Stadium in Moscow and Central Stadium in Yekaterinburg, both of which have been renovated extensively for the tournament. The State Kremlin Palace was originally built on the orders of Nikita Khrushchev for Communist Party meetings, but since the fall of the Soviet Union it has become a concert hall. The Kremlin as a whole is a fortified complex that includes the residence of Vladimir Putin, the President of the Russian Federation. After the qualifying rounds are completed in October 2017, the draw for the group stages will take place 1st December 2017 in Moscow Russia. As the host nation, Russia has already qualified for the World Cup while 31 more teams will join them from 5 different federations. 13 teams from Europe, 4 teams from South America, 5 from Africa, 4 teams from Asia and another 3 from Central/north america. 2 teams will qualify after playoffs. Group Stage Draw: Once all 32 teams are confirmed FIFA will announce the seeding and rankings of the teams according to which all 32 teams will be put in 4 pots of 8 teams each. Pot 1 will have hosts, defending champions and 6 other best ranked FIFA nations. Rest of the three pots will be bases on geographical regions. The World Cup 2018 group stage will have 8 groups of four teams each (1 team drawn from each Pot 1,2,3 and 4). FIFA will have live stream of World Cup 2018 group stage draw on their official website and all the national sports TV channels will also broadcast the ceremony set to take place on 1st December 2017 in Moscow Russia. 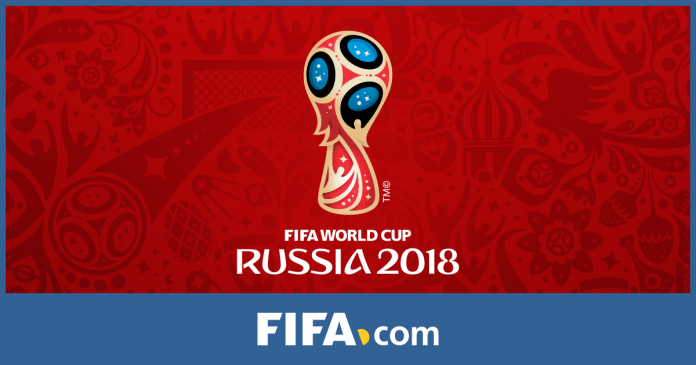 Russia proposed Kaliningrad, Kazan, Krasnodar, Moscow, Nizhny Novgorod, Rostov-on-Don, Saint Petersburg, Samara, Saransk, Sochi, Volgograd, Yaroslavl, and Yekaterinburg as the venues for FIFA World Cup 2018. So total 11 host cities will have 12 Stadiums. 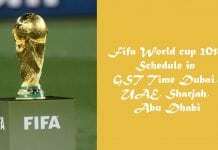 Let’s have a look at the complete schedule and fixtures of FIFA World Cup 2018 in Russia. Moscow,s Luzhniki Stadium will be hosting opening and final match of 2018 FIFA world cup on 14 June and 15 July respectively. It will also host 2nd semi-final match on 11 July, 2018. Teams are categorized in 8 groups as follows. 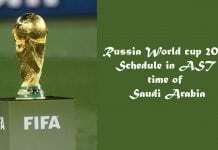 Fifa World Cup 2018 Russia: Schedule (Fixtures), Qualified Teams, Venues, Starting Date: 21st edition of world’s most watched sports event, FIFA World Cup 2018, takes place in the summer of 2018 in Russia.